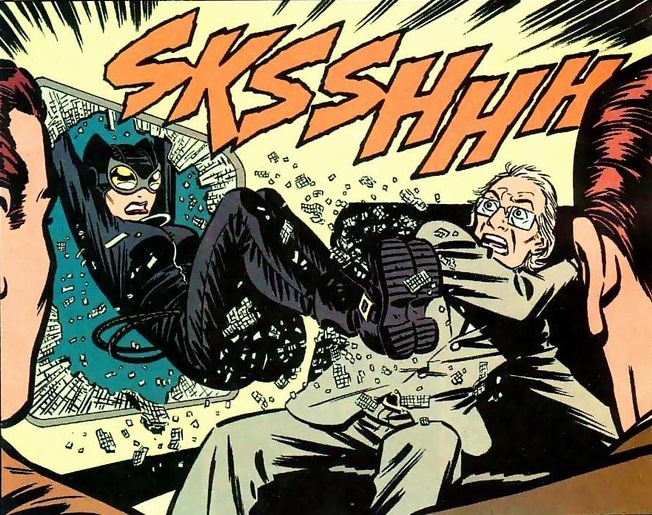 Catwoman’s entire supporting cast has been kidnapped or hospitalized. 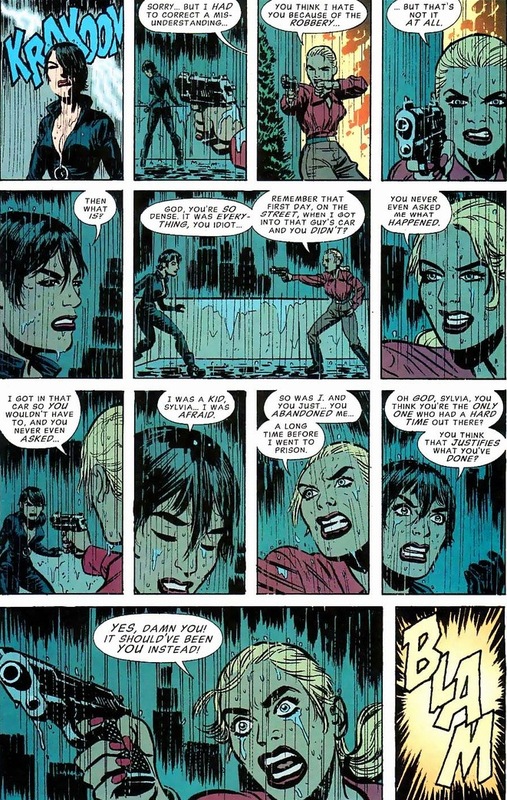 Everyone Selina cares about has been methodically taken out by mob boss/supervillain Black Mask and his goons as revenge for $28 million worth of diamonds that she snatched in an earlier issue. 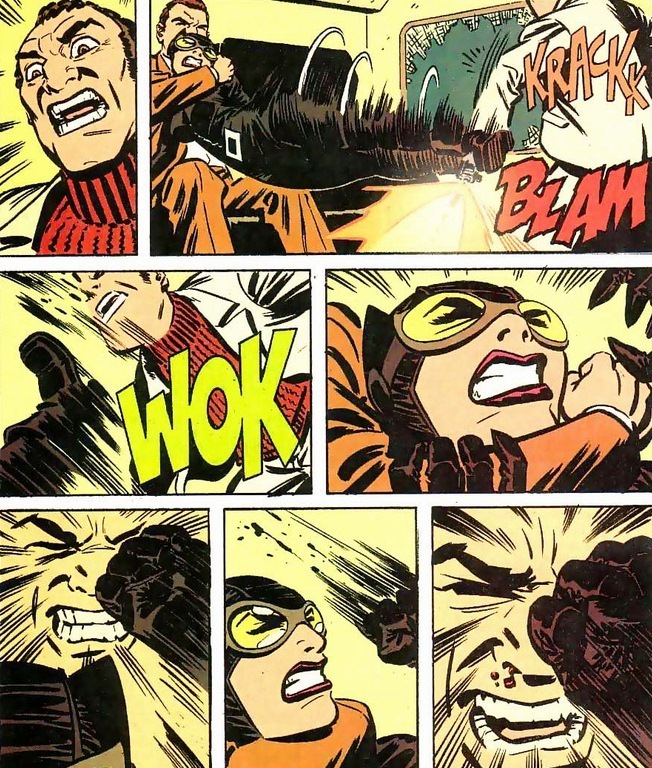 Luckily for us, angry Catwoman’s like angry Batman without boring stuff like a moral code. So this’ll be fun. As we pick up from where we left off, she still doesn’t know who took all her buddies/family. Though first, because of the target audience, she has to wash off her emotional baggage in the obligatory shower scene. And they don’t. Catwoman’s not exactly feared in the Gotham community. Well, not if she has anything to say about that. 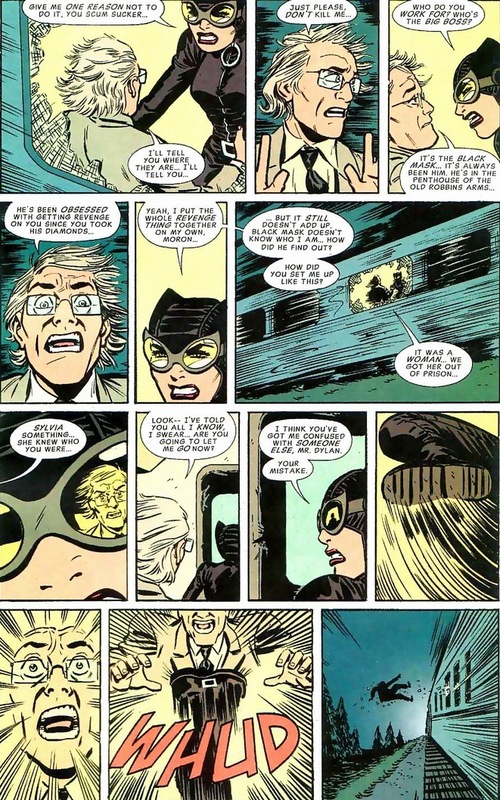 Time to get some answers the only way a superhero does – bursting through a moving train window. 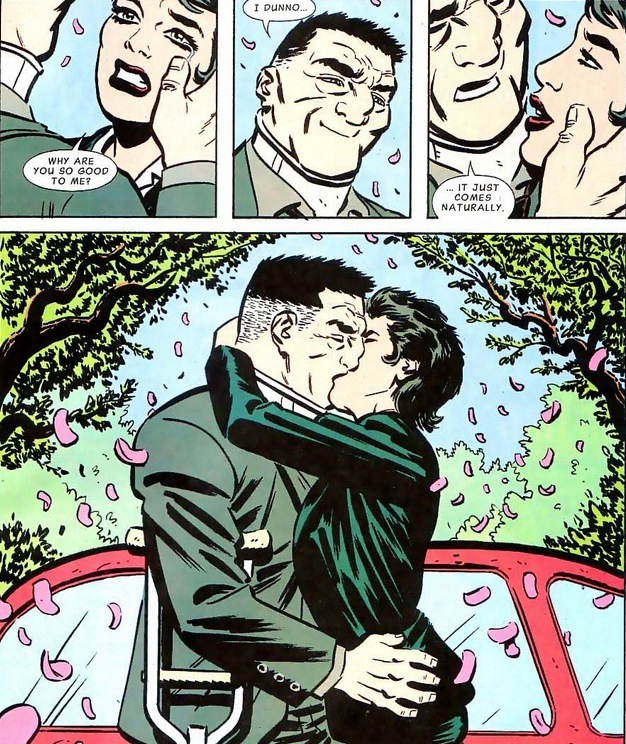 While Bruce Wayne came from immense wealth, Selina came from the opposite. Her mom committed suicide and her dad drank himself to death very soon after. She spent her youth either inside juvenile detention or out homeless on the streets. 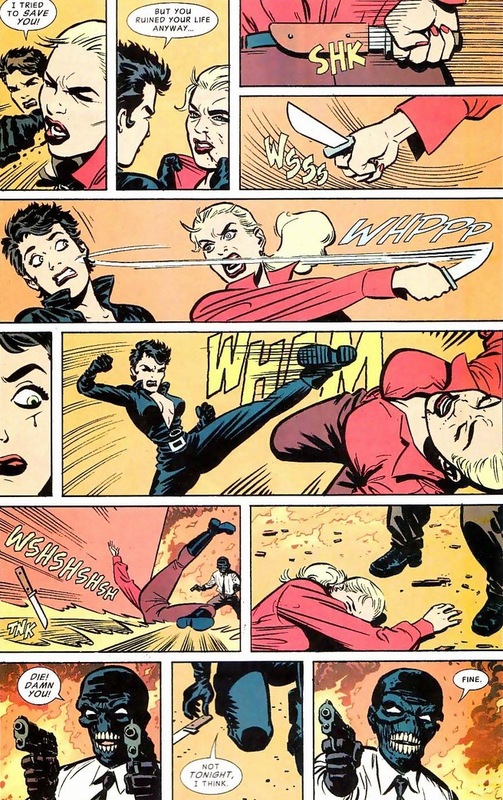 The superhero Wildcat taught her boxing, she mastered several forms of martial arts, and Catwoman has a crazy natural talent for gymnastics and acrobatics. Yes, she didn’t travel for a decade studying with the finest fighters in the world like Batman. But in the absence of globetrotting, she makes up for it with instinct and brutality. Especially brutality. 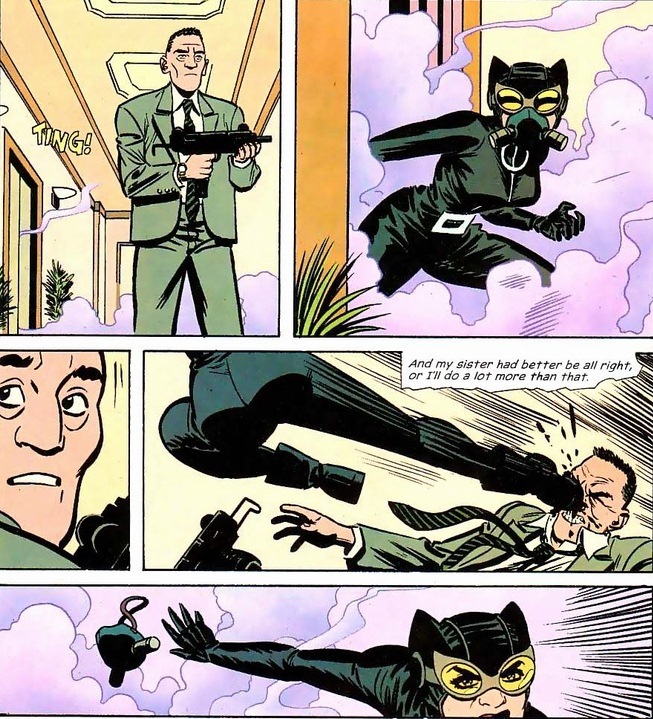 As she breaks into the penthouse for her confrontation with Sylvia and Black Mask, the scene plays out exactly like every good action movie finale. You’ll see. All the cliches are there, and you would be disappointed if they weren’t. Former best friend sold out our protagonist to the arc’s antagonist? Check. Time to put that traitor down? Also check. I know there’s a fiery inferno behind Black Mask. I skipped some stuff. But the narrative still holds strong, right? Plus, every good fight takes place surrounded by fire. Builds suspense and whatnot. 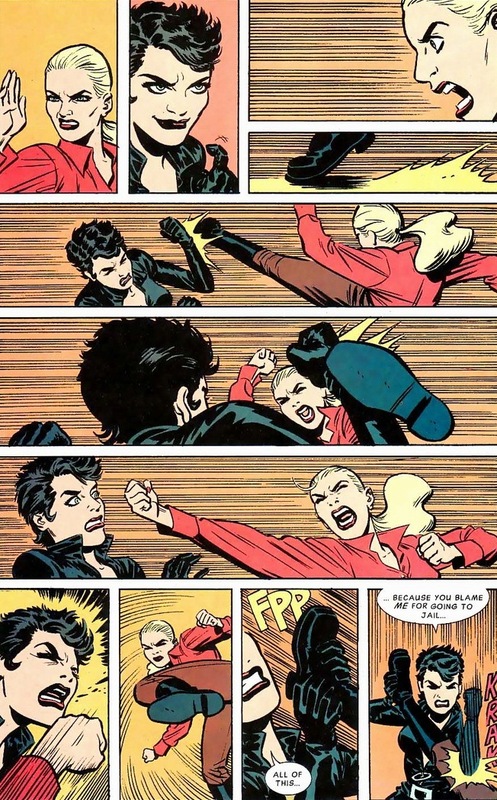 Oh, and did I mention that Catwoman’s pissed? Like really pissed. He survives, as all supervillains do. Maybe his henchmen deployed a trampoline before he fell, I don’t know. But Batman would have helped him up. Heck, one story once involved the Joker arrested for a crime he didn’t commit and Batman worked tirelessly to prove his innocence. That’s just Batman. 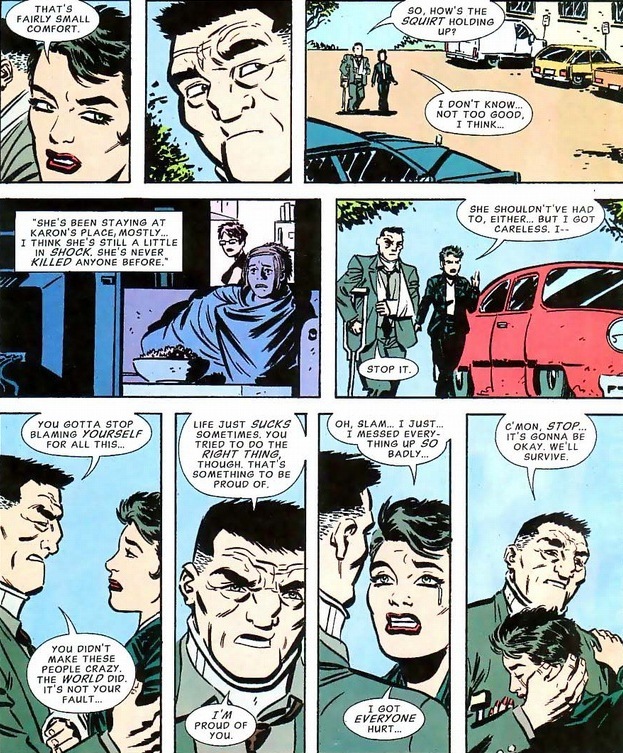 After his resurrection, a main reason Jason Todd (the second Robin) turned to crime was that he saw the Joker still laughing freely around town after the clown horrifically killed him. Not a drop of vengeance from the Bat. 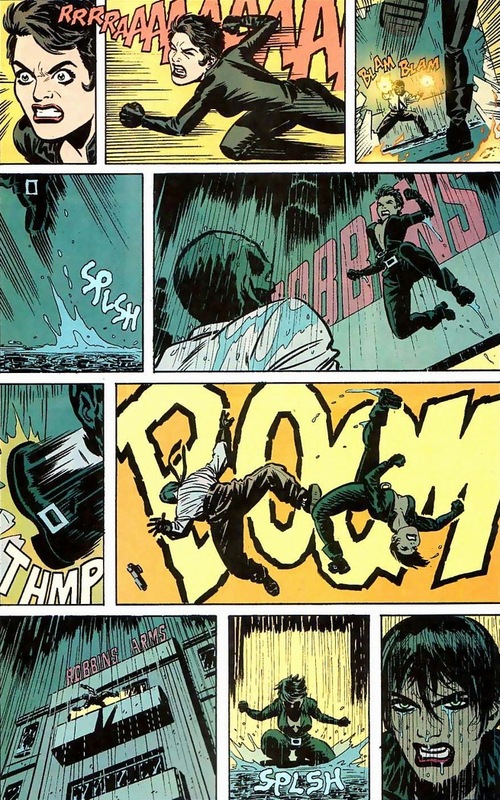 We as readers should respect Batman’s decision to some degree, if just because it’s one more way that Bruce Wayne is a better person than us and deserves that whole superhero title. Safe to say, there’s going to be some lasting PTSD from everyone involved. 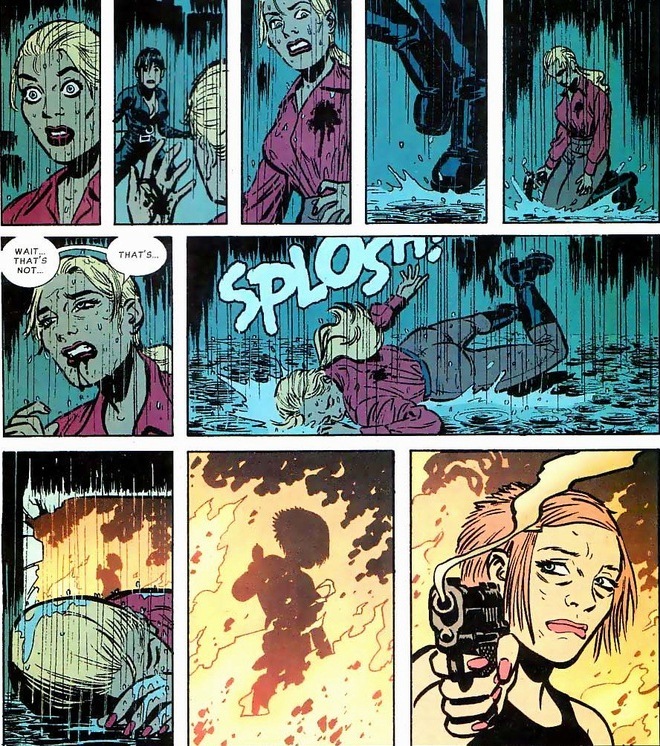 I didn’t show it, but Maggie Kyle’s husband met his demise at Black Mask’s hand. 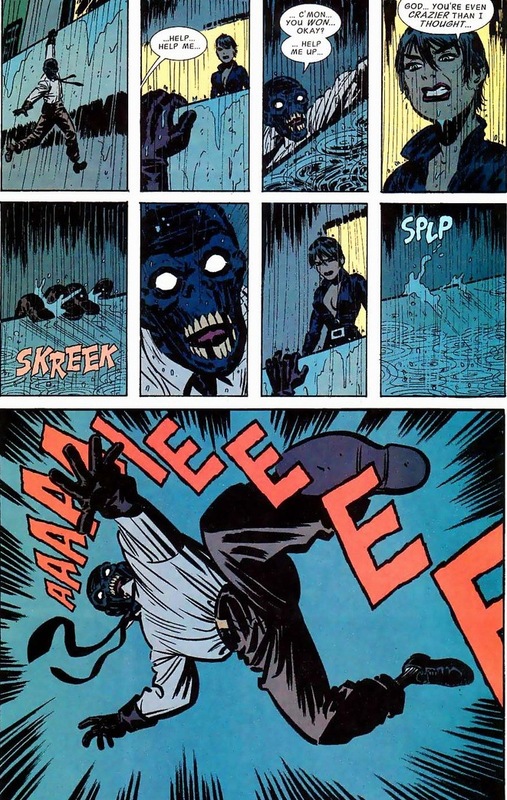 And Black Mask made Maggie eat her husband’s eyeballs. Yes, I’m serious. So she’s now institutionalized, as she should be. Despite the permanent, lasting damage to everyone involved in the series, at least one silver lining emerges. And in one of the bleakest stories I’ve ever read, it ends properly. With a happy ending. 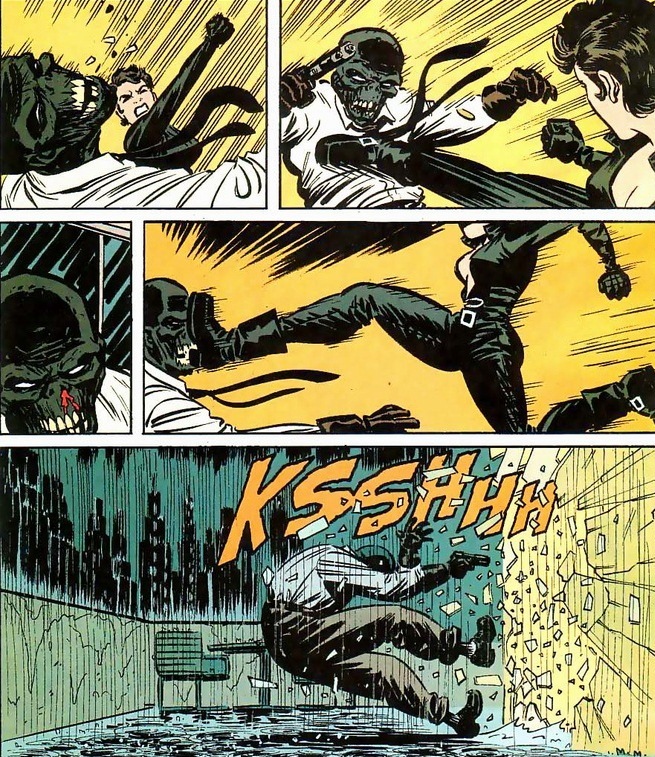 Tomorrow we’re going to cover Black Mask’s return and his final battle with Catwoman. 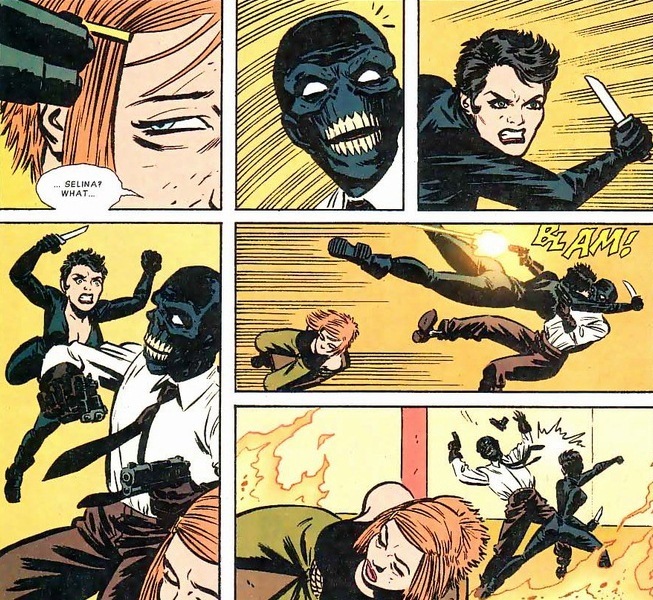 Heads up, Black Mask’s still a huge jerk.